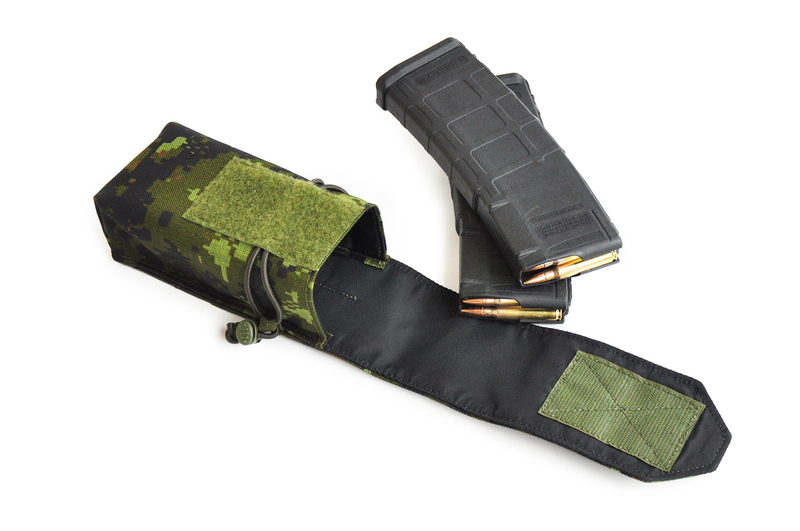 The latest preproduction version of the Modular Gun Belt. 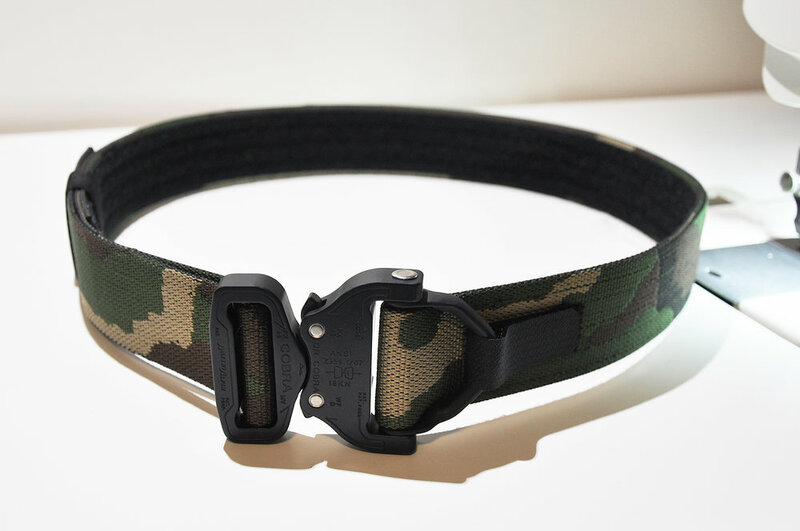 To recap, the MGB is a rigid outer belt system, that is made with 1.75" (45mm) and features an adjustable Cobra Buckle closer. 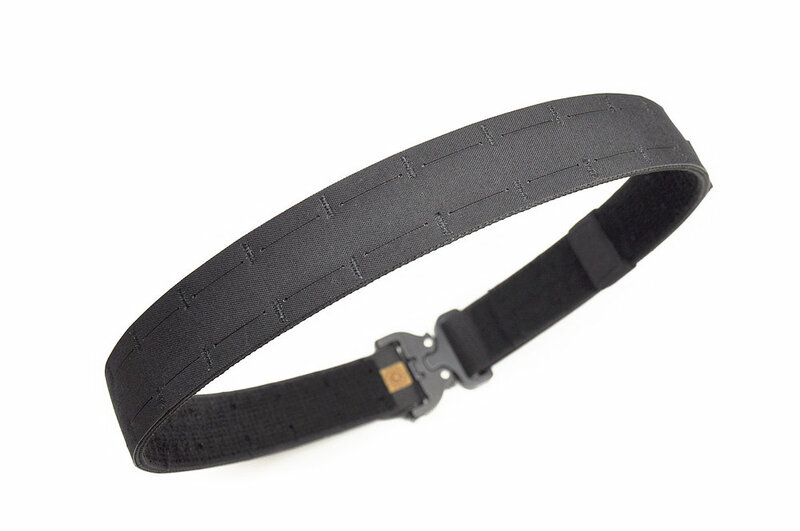 The outer face of the belt is covered with a laser cut laminate PALS grid, which allows the user to attached a variety of compatible accessories. 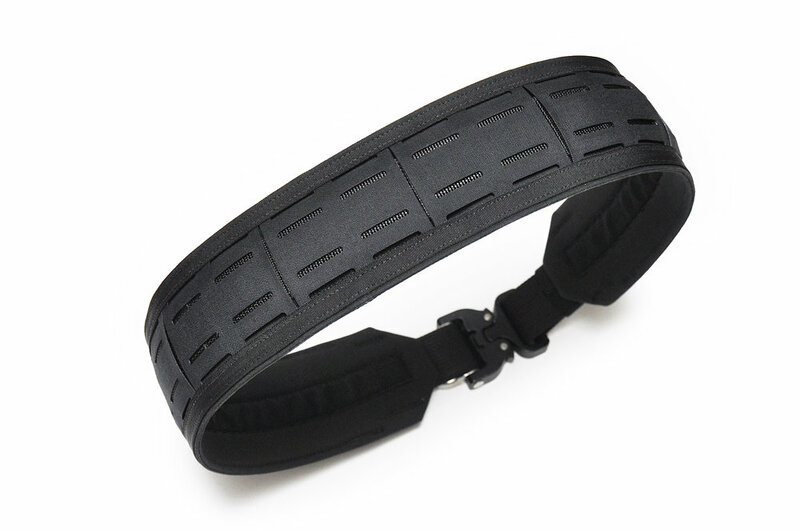 The back side of the belt is lined with our special dual-faced hook and loop, which is made to mate with Liner Belt V2, or belt pads which are under development. Since the last post, some size adjustments have been made to the laminate exterior as well as the overall size of the belt. 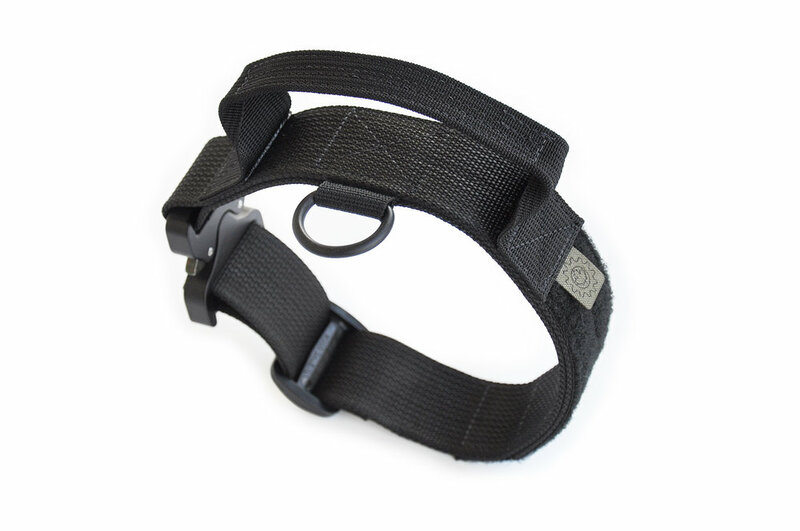 We've also switched to a special velcro-lined elastic loop for tail management, and of course the d-ring version of the Cobra buckle will now be oxidized black. Standard buckles without the d-ring will be available as well. The first shots of our newly reimagined Renegade V2. This is the pre-production prototype, but is inline with the attention to detail customers expect from our gear. 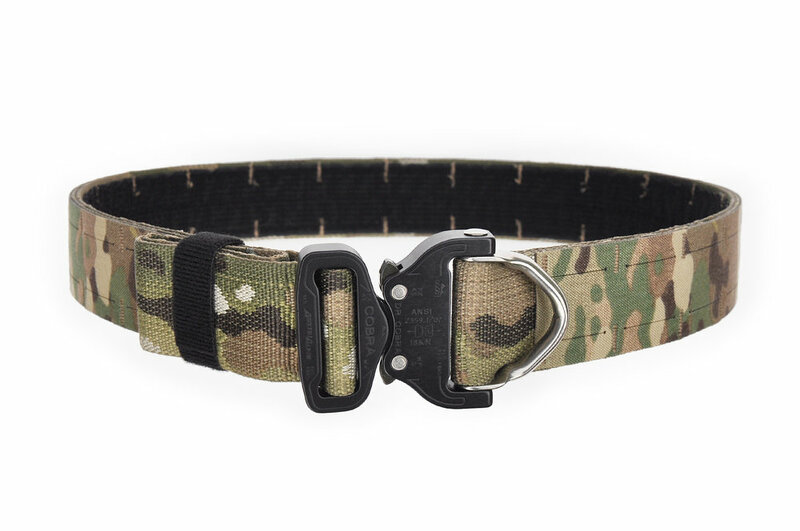 The belt is made from two layers of 1.75" (45mm) webbing, and features an AutriAlpin Cobra buckle closure. These will be available in the standard or D-Ring version (shown). 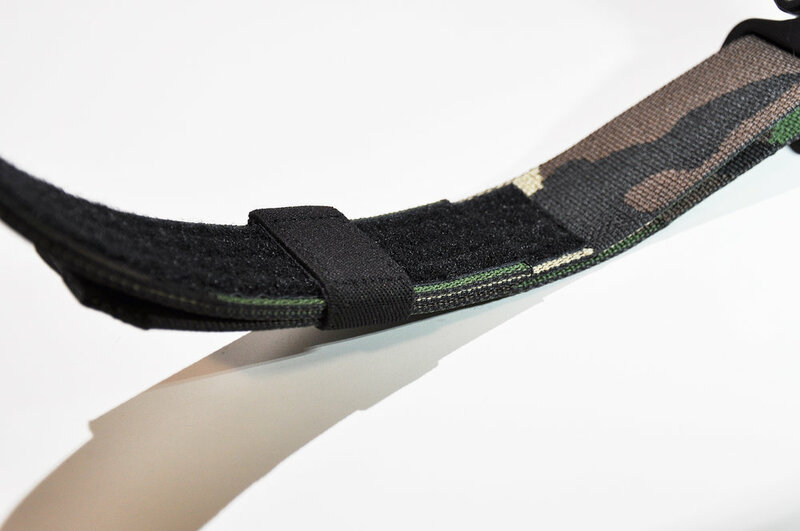 The D-Ring version has a special low profile securing tab which keeps the loop tucked in when not in use. 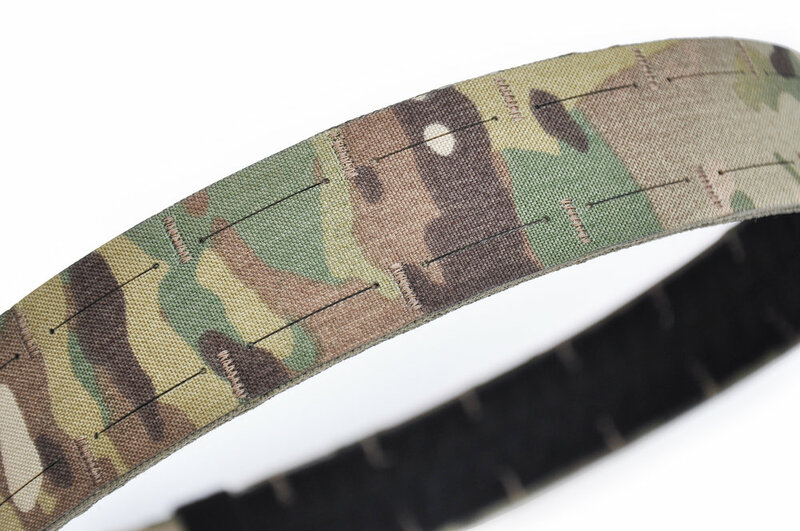 The belt is lined with 1.5" loop material, which will be used to engage with our battle belt sleeve (under development), and can also be used to add belt pads. 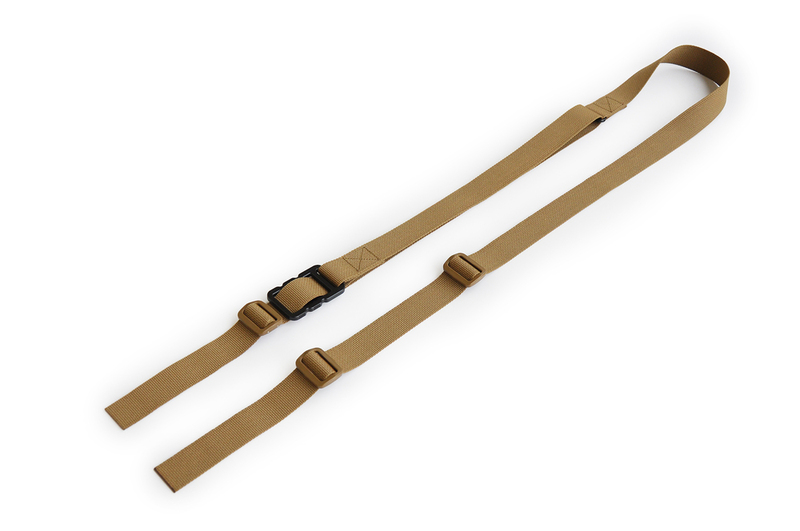 As opposed to using more hook and loop to secure the adjustment tail, we've designed a special elastic keeper that has a hook lining which engages the inside of the belt. This allows the user to preposition the keeper anywhere along the belt and prevents it from slipping when threading through pant loops. The keeper can also be completely removed if not needed, such as when the belt is being deployed inside a sleeve. 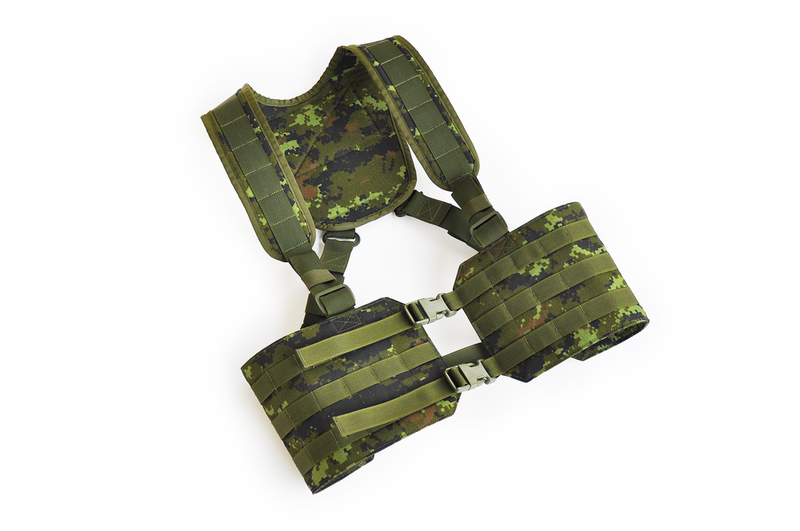 In response to user feedback with our original prototype, the Modular Belt System, we've developed another belt system which we are calling the Modular Gun Belt. From the ground up, it is designed to be a minimalist system, featuring an outer load-bearing belt and an inner liner belt (not pictured). 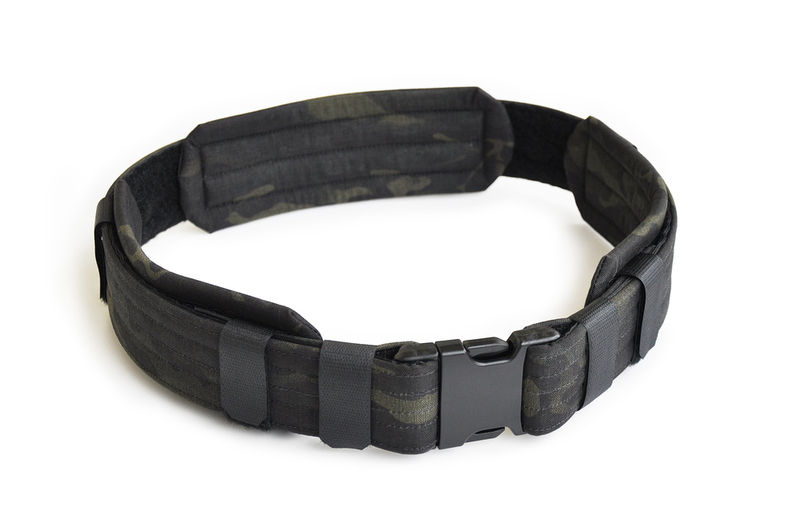 The outer belt is constructed or 45mm (1.75") webbing and uses an AustriAlpin Cobra Buckle for the closure. What sets this belt apart from the average rigger's belt, is that along the outside we've attached a laser cut PALS grid, made from Cordura laminate. 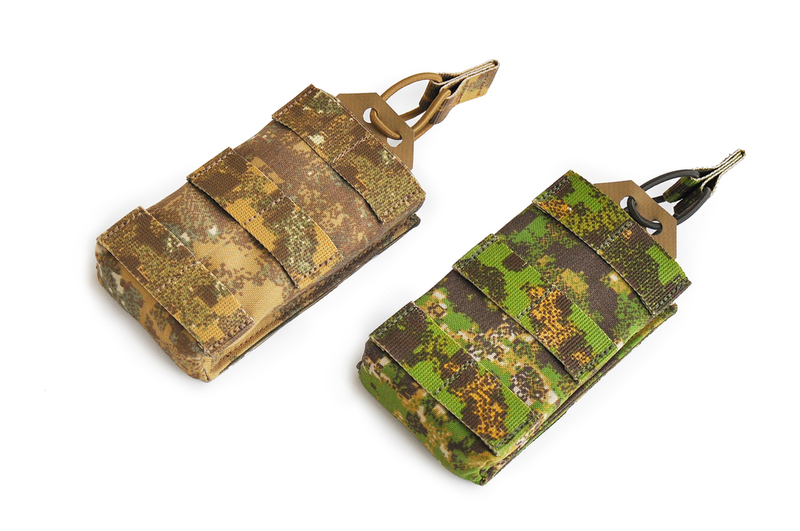 The slots are spaced in such a way that the user can weave MOLLE pouches on using the two narrow portions of laminate, or accessories can be attached to the wider centreline. Along the inside we've used a special hybrid hook & loop material that will grip to any type of hook OR loop liner belt. On this prototype we have used Velcro One-Wrap for tail management, which helps maximize the amount of real estate available on the belt surface. 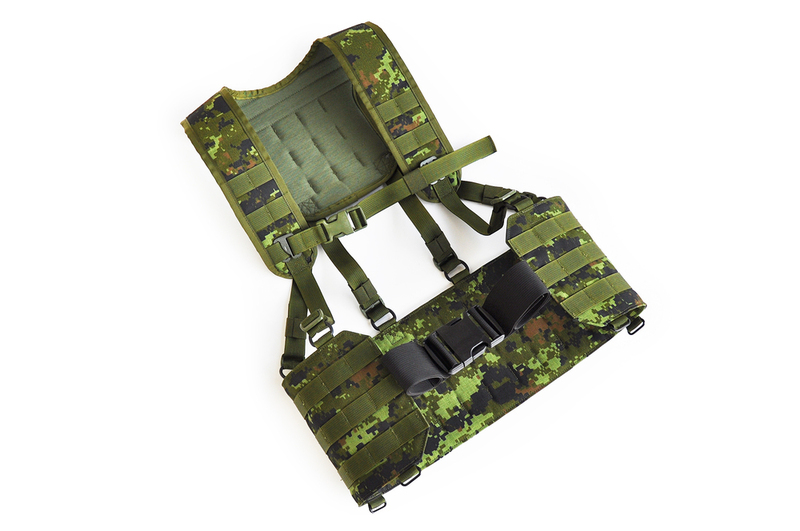 We are working to make a production version available in MultiCam, Coyote Brown, Ranger Green and Black. The user will also have the choice of a standard Cobra Buckle or the D-Ring version (pictured), although the D-Ring model will feature a black oxide D-Ring, insted of the stainless that is shown. After some small tweaks we've made a batch of Gear Straps (Long and Short) for testing. These are very lightweight and exceptionally strong. 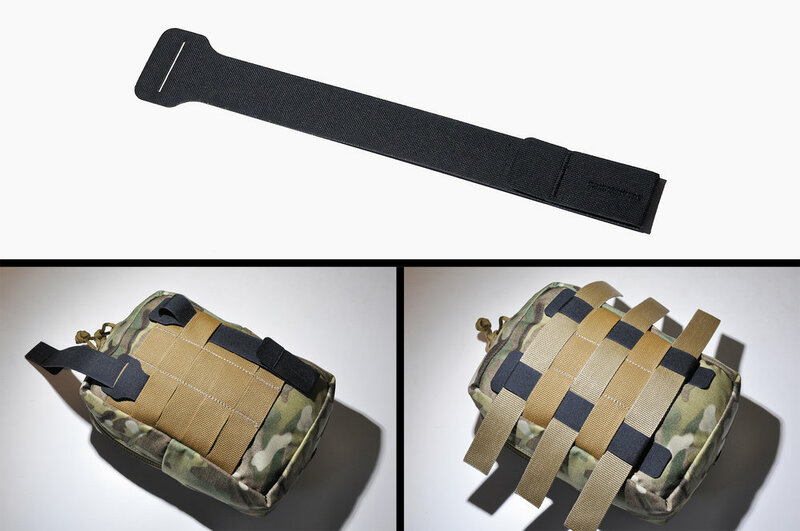 Adding minimal weight and bulk to the host pouch, they provide a simple, low profile mounting solution that is easy to install and remove; Simply attach the strap to the top row of webbing on the back of the pouch, then weave on to your gear as you normally would, securing the rigid strap end by tucking it back into the last row of pouch webbing. When you remove a pouch from your gear, the Gear Strap will stay affixed to the pouch so you don't loose it. 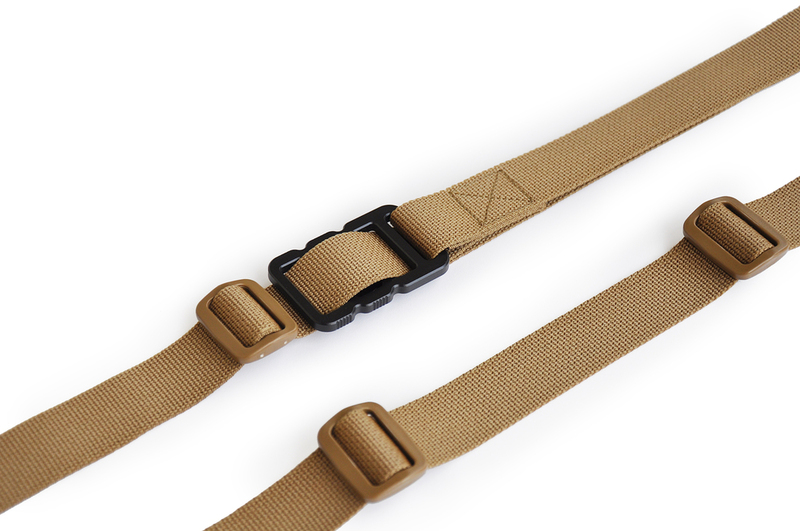 We are nearing the final design of the slider buckle on our new Quick Adjust Sling. A little tweaking is still in order, but the overall look and layout should remain the same. 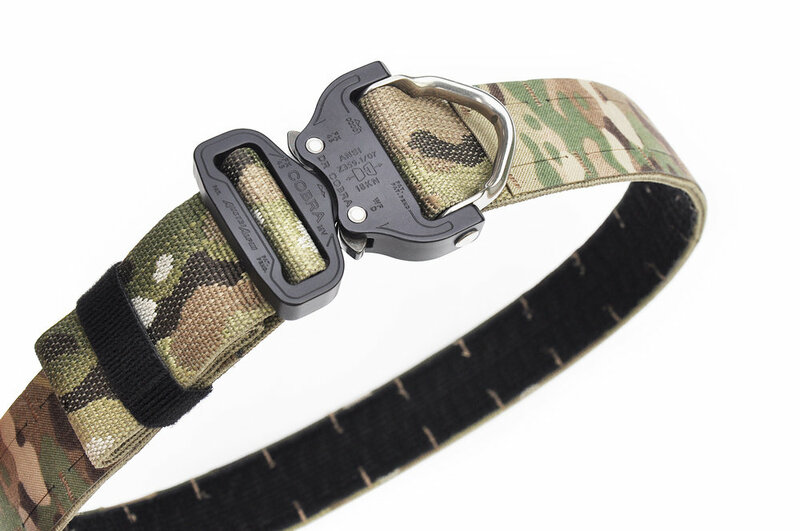 The buckle is machined from 6061 T6 Aluminum, making it lightweight and very strong. The sling as pictured is only 68g (2.4oz). 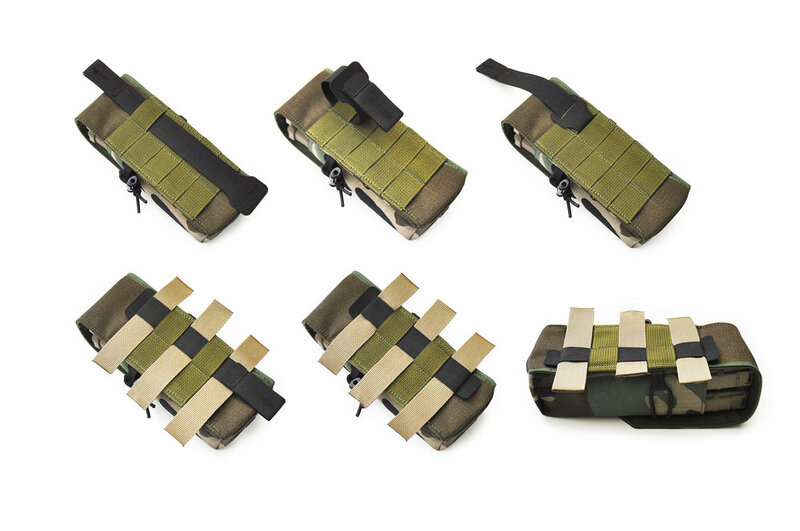 We've been developing a few zippered pouches to go along with our load bearing rigs. These are the first two pre-production prototypes. 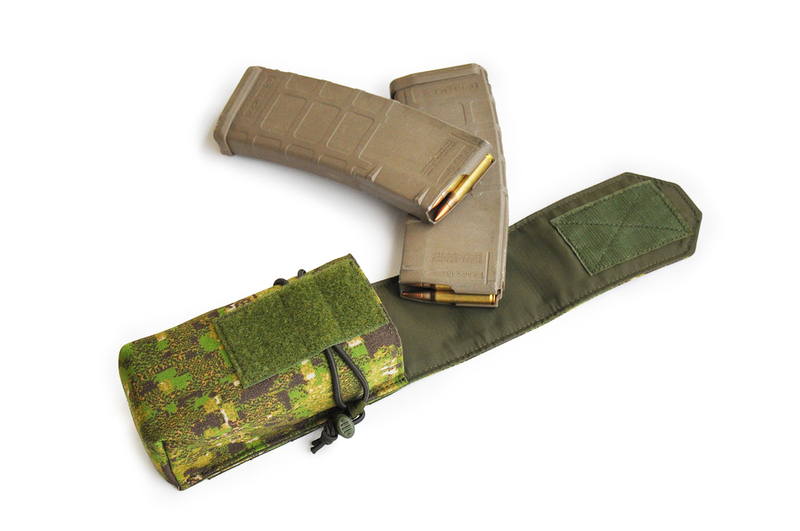 One is a Utility Pouch (5" x 7") that is optimized for use on our Patrolling Rig. The other is a Nalgene Pouch that is sized for the 1L Nalgene bottles. These are shown in Cadpat TW with PALS webbing on the frontside, but will be available in many other colours and with an optional "slick" front, for those that don't want or need the webbing.